1. 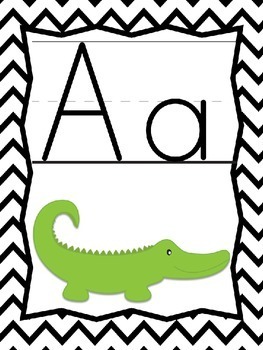 Print and laminate as full size sheets for an alphabet line display. 2. Print 6 sheets per page and laminate for word wall headers. 3. Print 6 sheets per page, laminate, cut apart, and place on a ring for a set of flashcards. 4. 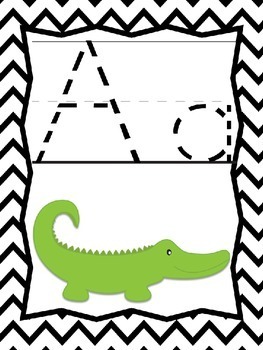 Print a dashed line font set, as 6 sheets per page, laminate, cut apart, and use with dry erase markers for a printing practice center activity. 5. Print two different sets, as 6 sheets per page, laminate, cut apart, and use as a matching game. 6. 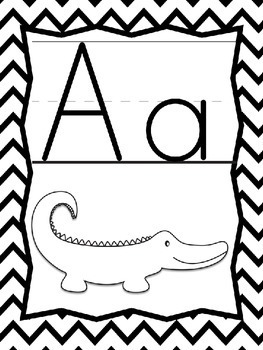 Print a black and white set and use as coloring pages for morning work. Looking for a matching number poster set? 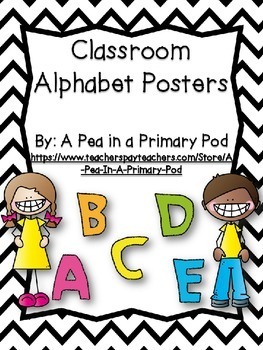 Looking for additional alphabet resources?